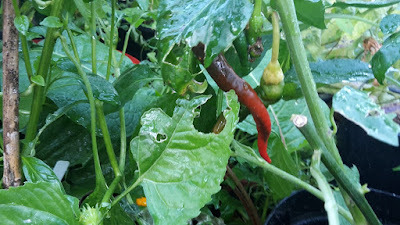 An English Homestead: Chilli's Ripening - Recipes Please! 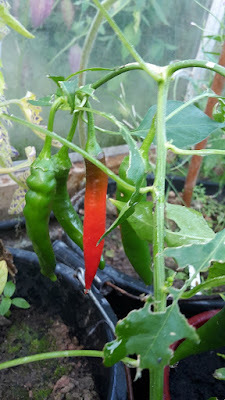 I have a good selection of chilli peppers ripening at the moment. I think I planted about 10 different varieties with different degrees hotness so I'm looking forward to trying them all out, maybe I'll get some friends to play a chilli roulette! One thing I have been loving this year is a hot sauce to add to stirfrys, chips, pizzas and anything else that takes a sauce. By adding some once it's cooked it means that the children (and wife) can have it quite mild and I can ramp up the heat a bit more. What I'm really after is a good recipe that I can preserve my harvest with, I want a good shelf life - and I don't mind canning it. I'm already planning on sweet pickling some like I have done in previous years but doing each jar with a mixture of different chillies in it this time. What's your favourite chilli preserve recipe? 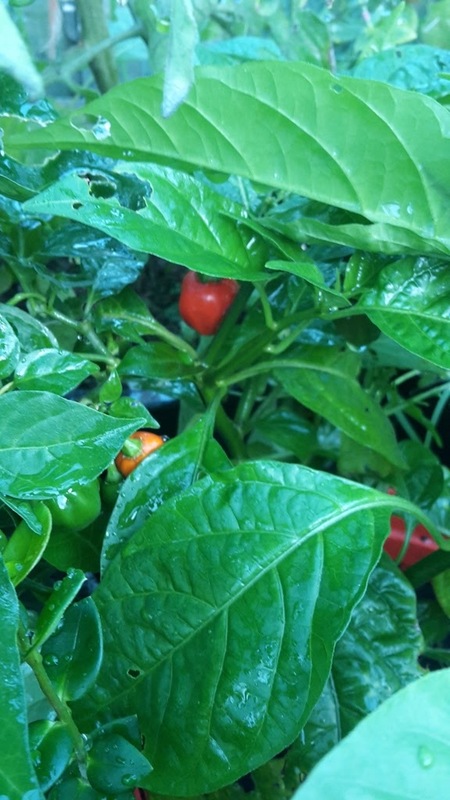 We dry our chillis each year, both son and hubby love them, I just grow them. Why not dry them? And them mix them or keep all the different "hotness" apart. Did your sweet pickled peppers stay crisp in the jars? When I try making these they end up soggy and sad.I don't know what I'm doing wrong. Also, a friend of ours makes a Georgian chili sauce called Adjika every year. It's hot peppers and spices and herbs from the garden. It tastes amazingly complex. It's delicious. Not a recipe I'm afraid, but this year I shall FREEZE most of my crop. They need to be deep-frozen separately, then put into bags. The fruits can later be used whole, grated, or whatever. I usually freeze mine whole in a freezer bag. Get out what I need and chop them from frozen. In the past I've made Harissa paste and chilli ketchup. This year I griddled some 'Hungarian Wax' chillies, plunked them in a jar with salt and covered with a light olive oil. They are yummy. we string the chillies up and dry them.